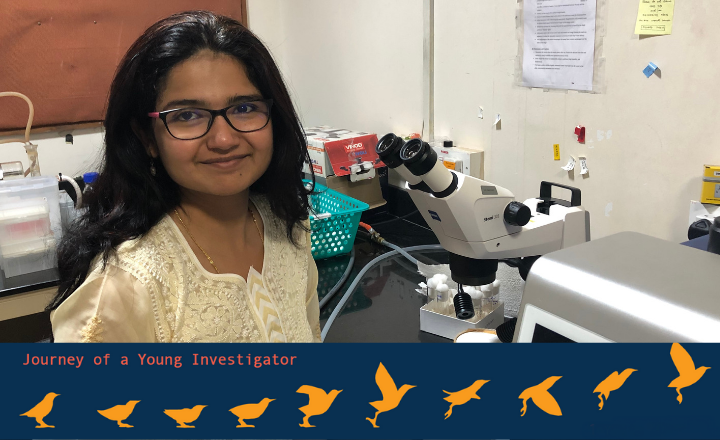 Priyanka Upadhyai is an Assistant Professor at the Department of Medical Genetics, Kasturba Medical College, MAHE, Manipal. In this article, she writes about her experience of joining a medical research organization with a background in fundamental science and successfully navigating clinical collaborations. Contrary to what is perhaps the experience of many biologists, I was never awestruck with the life sciences as a child or a student in school. Conforming to the conventional scheme of education in our country, I was confused and struggling to embrace what I really loved as opposed to what I was seemingly good at as per my grades. I ended up going to the erstwhile Presidency College (now Presidency University), Kolkata and pursuing an undergraduate degree in Zoology. And it was here that I discovered my passion for developmental biology; I found beauty in the orchestrated development of life from a single cell and was struck by how molecular entities could communicate and make sense in achieving form and symmetry. It was lyrical almost, and I knew I had found my calling. After a postgraduate degree in Biotechnology from the University of Calcutta, I went to the University of Pittsburgh, USA, for my PhD and thereafter went on to pursue postdoctoral research at the University of Manchester, UK. My studies focused, so far, on early organismal development and patterning, in alignment with my core interests in developmental biology and genetics. My academic training abroad was marked by a sense of idealism, perfection and a thrust on quality, which overpowered the idea of churning publications out in large numbers. Trained in the labs of basic scientists, I was honed not only in routine molecular biology but also in specialized strategies of working with fruit-flies, our model of choice. It was an arduous world of trial and error where things took time to refine and perfect. At the same time, people were committed to the same. Married to an evolutionary biologist, I had always been open to the idea of returning to India. Initially, the reason was to be closer to family, but this was accentuated with the downturn in basic science funding as well as the increasing uncertainties in obtaining secure academic positions abroad. However, it was 2.5 years into my postdoctoral work that my husband was offered a position at Manipal Academy of Higher Education (MAHE), Manipal. As a young couple who were training in science, we had lived, studied and worked apart for various bits of time that had collectively added up to several years already; it had weighed us down. So when I was also offered a position as Assistant Professor at the Department of Medical Genetics, Kasturba Medical College, MAHE, Manipal, it was hard to turn it down, even though it meant leaving my postdoctoral project, which was finally shaping up to yield meaningful results, mid-way. I was also filled with trepidation because I was walking out of the comfort of state-of-the-art laboratories and a well-oiled research support machinery of my training days into a world that was completely unknown. After almost a decade abroad, I had been largely removed from Indian academia and its workings. So, suddenly, returning no longer felt like coming home. However, for all practical purposes, it made sense. I was also buoyed by having steered projects single-handedly during my postdoc. So venturing to go independent, and putting my skills and training to action with a faculty position next seemed feasible. It was a position at a relatively new department that was focused on rare diseases and included only clinical faculty at the time. The University was keen to have me establish laboratory facilities in a primarily clinical setting and to complement their ongoing research. The prospect of doing so from scratch in an unfamiliar setting was a mix of both daunting and exciting. I had started out in shared labs with serious constraints on budgetary spending for equipment, space limitations and long wait-times for any allocated funds. The department with its thrust on clinical genetics was beginning to identify new disease associated genes and was intent on me to have functional assays ‘quickly’ in place so as to validate and characterize them. Importantly, I was required to ensure that all of my research was directly and intrinsically related to rare disease biology. Despite no prior experience in the nitty-gritty of lab set-up, I found myself navigating through the same reasonably well and about two years later we had most of the basic facilities in place. I also managed to submit a grant to study two novel disease-associated genes that had been identified in the department and was happy (and relieved) to find it sanctioned within a few months. These funds also allowed me to procure a couple of new equipments, which would help the research planned. On a personal level, this was also a time when my daughter was born and I was torn between doing justice to both fronts. In the initial year and a half at my new position, aside from getting my lab off the mark, I was closely working with clinicians and staff on diagnostic testing for rare diseases. As part of the group, I witnessed clinical research at close quarters. It was an extended training and my first foray into the area of human disease genetics. Like many basic scientists, my academic training so far had been enwrapped in blue sky research, which often tended to be fairly distant from having direct implications on healthcare. At my current position, it came as no surprise to me that clinicians were acutely pressed for time, given the sheer volumes of patients they saw daily. Further many clinical scientists had limited formal laboratory training, not having undergone the rigours of obtaining a PhD, unlike some of their peers abroad. It was therefore, not easy to have them understand my concerns or have a sense of the challenges I was facing. It was even more difficult to convey how long experiments in a lab could sometimes take to design, frame and fine-tune in order to yield meaningful results. However, to bridge the chasm I decided to approach things positively. Given the effort and dedication from their end to enrol patients in a research study, and provide samples sometimes by painful and invasive procedures, it was important to convey that as researchers we were respectful. It helped to be open, interested and attempt to grasp their concerns. Refraining from jargon in communication and simplifying ideas was also beneficial. In addition to broader goals to be achieved over a longer term, I focused on facilitating the routine and seemingly simpler assays with the resources available, so as to enhance confidence-building while working with a clinical team. Importantly, I always tried to be realistic and transparent when collaborating together. At heart, I remain a basic scientist and hope to never stop learning, regardless of my setting. So while I strive to define research goals that are congruent with what has always enthralled me, I also seek to extend and apply myself to meaningfully address other research problems that might resonate more with being within a largely clinical setup. Almost three years into this journey, I look back feeling exhilarated. My journey so far may not have been perfect but has changed me in important ways. It has taught me to embrace the unknown with perseverance, fortitude, and grace. And to never cease being inspired. Mentor-mentee relationships: creating a positive work atmosphere.